You awaken, alone, in a strange yet familiar place. The world has fallen to a great Calamity, you appear to be the only survivor. Do you try and rebuild what has been lost or do you pave the way for a brand new world? That is the question that echoes throughout Bastion, do you choose to cling to the past or look toward the future? In Bastion, you play as The Kid, a white haired survivor of the great Calamity, which somehow he managed to miss whilst taking a nap. He awakens alone to hear the voice of a stranger commenting upon his every move. The wise voice guides you through the world to the Bastion, the place in which we all were supposed to meet at in case of such a Calamity. Unfortunately, no one else made it to the Bastion. 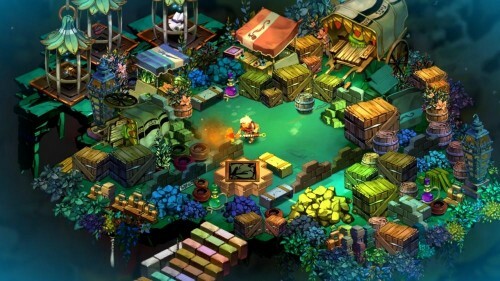 Bastion is a post-apocalyptic action RPG, which features a storyline deeper than words could say. The wise old man who narrates the game says it himself, “Sometimes there is just nothing to say”. That one line epitomises Bastion. Although Rucks, narrates the entire game and comments on each and every action the player takes (which might I add would be a horrible idea, if it weren’t for the amazing writing), someimes the quiet times speak greater than any words could. The greatest strength to the game is indeed it’s story and characters, who are instantly iconic. For a game which was released on the XBLA, to feature such iconic and memorable characters, is a wonder in itself. This game could’ve been released as a full retail title and no one would have thought twice. It isn’t often a game comes along with this solid a storyline, nor is it often one comes along that resonates so deeply with the player, to the point of invading the players dreams. I found myself thinking, dreaming and contemplating Bastion. It is so subtlely philosophical you may miss it, but underneath it all is some incredibly deep ideas, oozing with intelligence. Part of what makes Bastion so good is that it knows exactly what it wants to be. It knows exactly what story it wants to tell. It knows exactly what it wants to achieve and it does so with flying colours. Never before have Action RPG’s been so fun. Bastion takes out the nitty gritty, often monotonous stats building of RPG’s and focuses entirely on enjoyment. 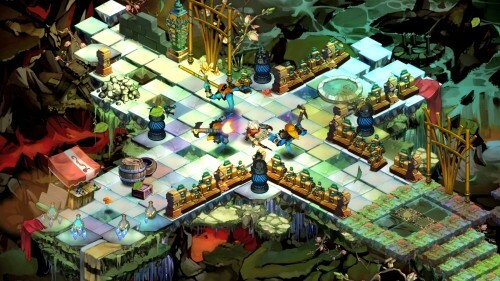 The game tasks you with traversing dungeon-like levels in order to gain new items as well as to find the all important Cores. It may sound simple, and it is, but with so much depth underneath that simplicity, the RPG genre hasn’t seen such a simple yet revolutionary game since Guardian’s Crusade. That’s not to say this is anything like Guardian’s Crusade apart from it’s simplicity. That is the only similarity, however it’s the best similarity it could possibly have. Too often are RPG games bogged down with heavy exposition and tedious stats building systems, that detract from the actual adventure and story of the game. Bastion avoids these pitfalls with a swift dodge-roll into greener pastures. Along side the simple gameplay style, is the previously mentioned dynamic narration from the stand-out character Rucks. He is a man wise beyond belief and always has something witty and clever to say, when he has something to say that is. This narration in anyone elses hands would be completely terrible, however Supergaint Games have pulled it off with perfection, creating a memorable character as well as a unique atmosphere for the game, to match it’s unique world, that is constantly being created with each step The Kid takes. Without a doubt Bastion, provides a gameplay experience unlike any other and would just as easily have fit as a full retail game. There is little else to say about the gameplay other than, playing is believing. Bastion is bursting with flirtacious colours, luring you into it’s world. For a post-apocalyptic game, the world feels anything but. It takes a stance against the norm of baron wastelands and cities turned to rubble and instead creates magical vibrant world living within the confines of your console. The imagery is magnificently created and Supergaint Games should be applauded for their work here. The artstyle is without a doubt one of the most well concieved and ingenious creations seen within a long time, perhaps even on the Xbox in general. For a story about the end of the world, Bastion is simply busrting with so much life, you wouldn’t even realise, upon first glance. What they have created here isn’t just graphics for a video game, they have created art. 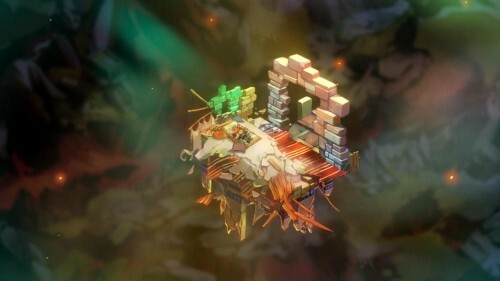 One of the first things that I noticed when I opened up Bastion was it’s brilliantly composed soundtrack. The beautifully solemn yet hopeful, opening music during the menu screen sets the mood for what is to come perfectly. You know that what you are about to see is simultaneously going to be lonesome and inhabited with a great deal of heart. The in game music is a perfect mix of adventurous and sorrowful. You have a brand new world being built beneath your feet, so you adventure onward, yet the shadow of the past looms behind you beckoning you to stay slumped in it’s presence. Alongside the game’s music is the brilliant narration of Rucks (voiced by Logan Cunningham), which is crafted so masterfully, that his voice becomes the sound of hope for a new world. It is a perfect contrast, having a man with many years of experiences under his belt, guiding you towards a brand new world. He does not cling to the past pre-Calamity, nor should you. It’s those simple yet intelligent touches of greatness that make this game so damn good. Bastion is without a doubt the crowning achievement of the XBLA. It is a game, with no faults. It is a game that treats the player with a level of intelligence. 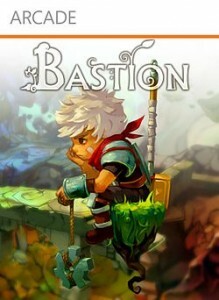 If you have ever felt lonely, ever felt happy, ever felt at all, Bastion will speak to you. It will speak to you even when it has nothing to say. 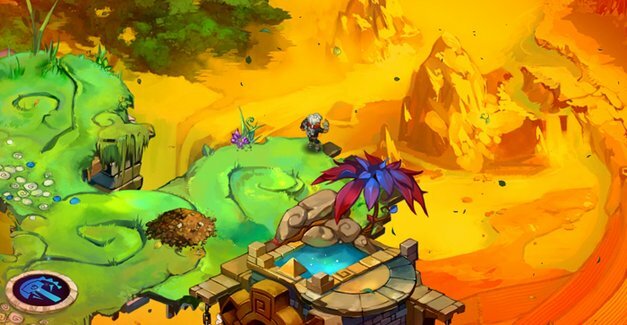 Bastion will go down in history as one of the greatest games of all time. It was an absolute pleasure playing through and reviewing this game. I will wait with bated breathe for Supergiant’s next release, as they have created more than just a game with Bastion, they have created a masterpiece of modern entertainment.